These made me a believer in gloves for very cold weather. These made me a believer in gloves for very cold weather. I have not worn a warmer or more durable glove. 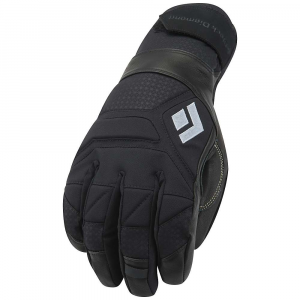 The gauntlet is easy to open and close, and having a removable liner is a plus. I grade them below five stars for shipping without an idiot leash. 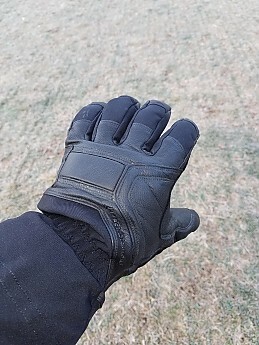 I carry two pair of hand protection for winter hiking. 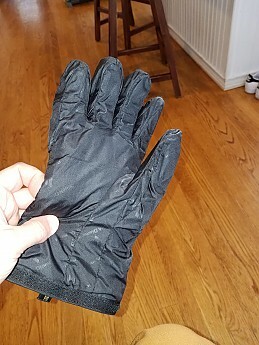 After my very old REI mitts plus shells were past their usable life, and a cold day convinced me that Dachstein mitts plus shells weren't enough, I chose Black Diamond's Guide Glove. They're expensive; try to find them on sale, off-season. The outer shell is a combination of goatskin leather and rough-textured nylon. It's a gauntlet-style glove, so it extends well past your cuff to help seal out cold and weather. They say they have Gore-tex; I suspect that membrane surrounds the liner, because the back and palm are leather, and when you remove the liner, the inside surface is also leather. So...if you want a fully waterproof gauntlet shell, treat the outer leather surface with Nikwax, Obenauf's, or something similar to preserve and waterproof the leather parts of the shell. My number one criterion for mittens or gloves in winter. 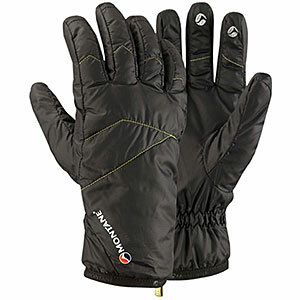 These gloves are extremely thick, with a liner that combines Primaloft, fleece in the palm, and fuzzy wool on the back of your hand. The shell also has some closed-cell foam on the back, though I think that is primarily to protect your hand from impact. All this adds up to a super warm glove. The coldest I have seen over the last year was an unchallenging ten degree day; my hands were toasty without a liner glove. I'll wear these the next time I encounter sub-zero weather and have no concerns about that. The photo above shows the interior of the liner—it's removable, very helpful for letting them and the shells dry out. 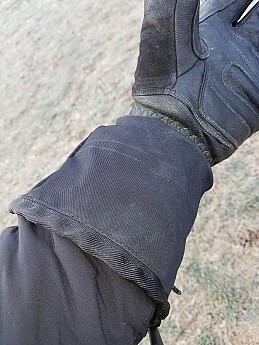 Because I haven't seen super-cold weather with them yet, it's hard to compare them to the winter mittens I use (Outdoor Research's Alti Mitts). I suspect the mittens are a little warmer based on past experience, but this is clearly a glove built for sub-zero weather. This glove is snug-fitting. Black Diamond has good sizing instructions on its website—you measure the length of your hand from wrist to fingertip, then measure the circumference of your palm, and size them to whatever the larger measurement is. My fingers are a pretty normal length; my hands are kind of wide. This translates into a size XL in this glove. A person with really large hands or long fingers might not be able to fit into these. I can only wear a light wicking liner in it; with my expedition-weight power stretch glove liners, they're too tight. Consider whether you might want to buy one size larger than you might usually get. 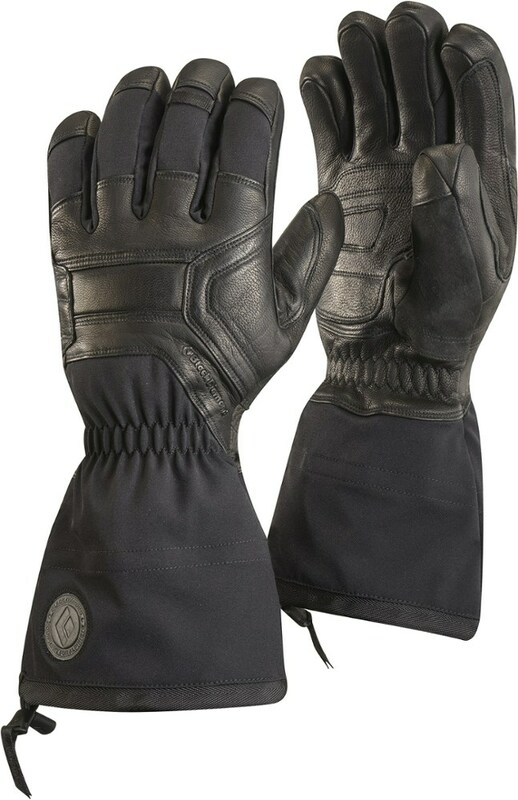 Also, they require some breaking in due to all the sturdy goatskin leather surrounding your hand. I recommend applying some leather conditioner to help keep the leather supple and assist with break in. It took me 3 or 4 outings to get them feeling good in terms of using my fingers. The glove is articulated, meaning the back and fingers and thumb have a slight curve to them. That makes them more comfortable. Better than a mitten, obviously, but it's hard to do really detailed work with fingers so thickly surrounded by insulation. Expect to be able to zip your jacket, open your pack (provided it has decent zipper pulls) and hip belt, but don't think you could cook dinner wearing them. They also won't feel very easy to use before you break them in. I figure this is a pretty normal tradeoff for a glove this warm. 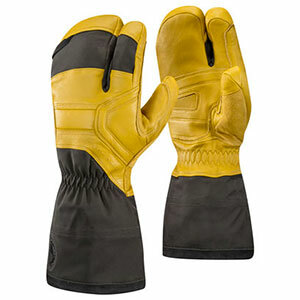 There are many other glove options that are not as well-insulated and can give you better freedom of movement. Gauntlets are essential for winter because they keep snow and cold away from your jacket cuff. This gauntlet is medium length. There is a little bit of elastic around your wrist; the edge of the gauntlet has an elastic cord you can tighten by pulling a tab. 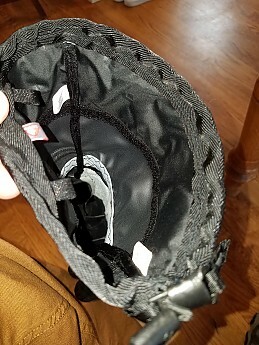 Interior of the outer shell, the pull tab for the gauntlet is on the lower right. The loosening/tightening tabs for the gauntlet are really easy to use, even with bulky gloves. Well-designed. On the downside, these shipped without any 'idiot' leashes. The leash, if you haven't used them, is to loop around your sleeve to secure the glove for those times when you have to take them off on the trail. They keep the gloves from falling downhill or blowing away. Leashes are, for me anyway, essential for winter hiking and climbing. I swap the leash from my old shell mitts onto these; they should come with a pair. Stout leather and thick nylon should give these a very long lifespan. As I have only used them for a year, though, I can't say from personal experience how they will last, other than an observation that they don't seem to have worn much, if at all. With idiot leashes, a five-star glove for winter skiing, hiking, climbing, definitely on the warmer and less dextrous side of things. Ouch! Those are pricey. Nice review, Andrew. Nice review, Andrew! Thanks for taking the time to share it. I'm always interested in hearing about warm gloves. Didn't work out for me. 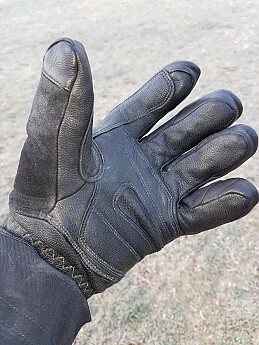 If I needed to handle ropes or grab onto rocks, etc., I might need gloves like these, but for XC skiing, mitts suffice and are better in cold temperatures. It's a disappointment when your warmest gear doesn't cut it. 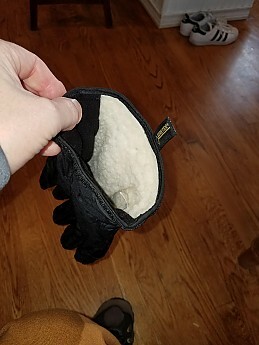 I had all day, when it warmed to 20°F, to focus on buying warmer hand protection. 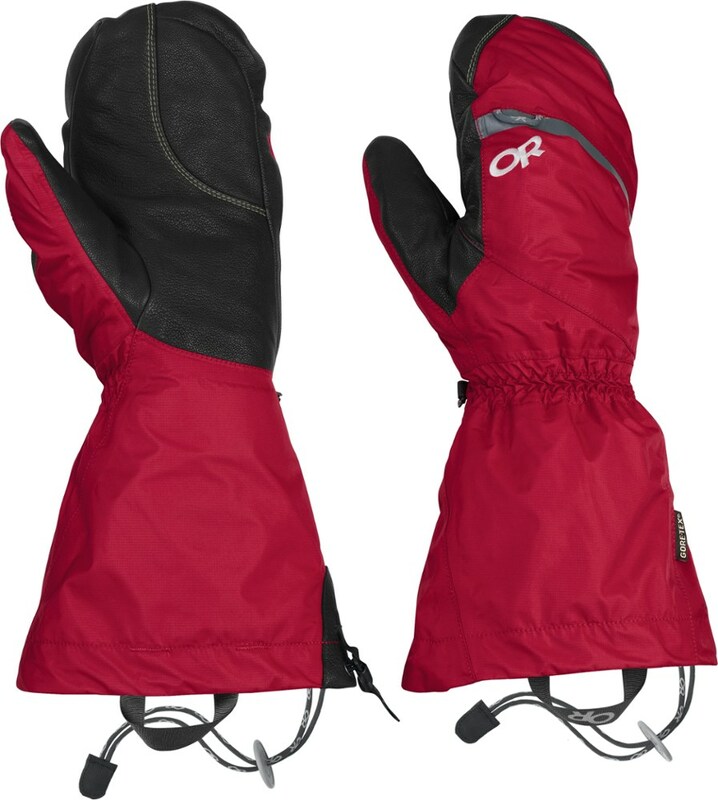 BD makes two GoreTex mitts rated to -40°F and below, warmer than Guide Gloves and their lobster variant. I use their Super Light Mitts. 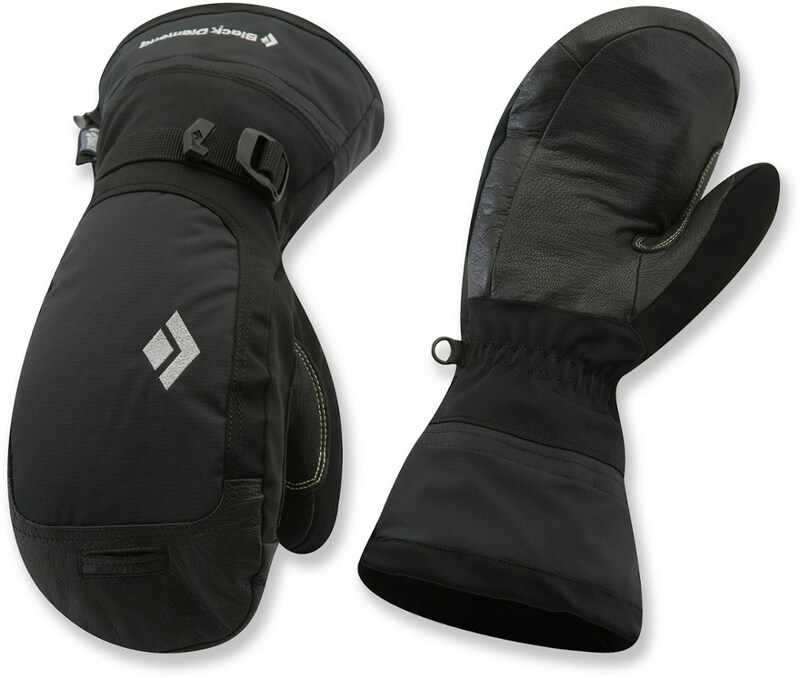 The best insulated mitt made by BD is an Expedition Mitt. What did you find these gloves best used for, David? 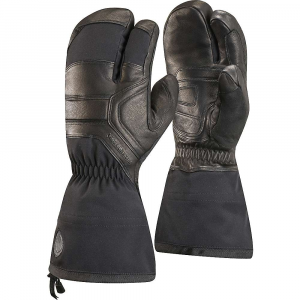 Also, I'd love to read a review of the other BD gloves that you like for the coldest temps.